Monday 9 July – September– Giles Lane car park is closed over the summer for essential maintenance and improvement works to take place. This closure has been requested by the Estates Department. For more information see our Giles Lane car park changes webpage. Monday 22 July- Thursday 9 August– Purchas Court 1-16 car park will be closed for the Canterbury Retreat conference group. This closure has been requested by the Conference Office. Sunday 5 August –Thursday 9 August– Rear of Rothford car park is closed to dismantle the UPP compound and reopen the bays in this area. This closure has been requested by UPP. 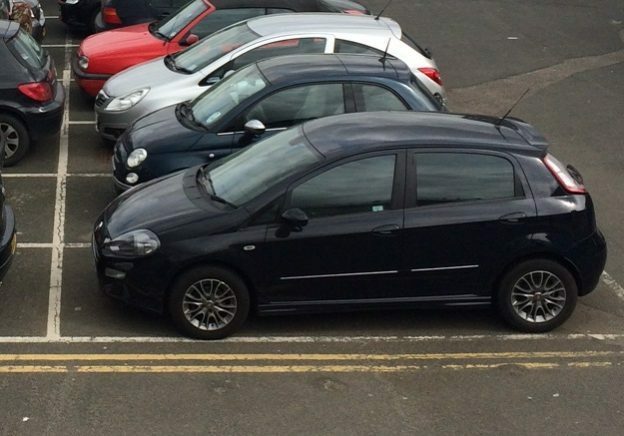 Reminder that parking bays outside the University Medical Centre are for people attending the Medical Centre only and are not part of the University pink or blue zone car parks. Chatham Historic Dockyard Trust (CHDT) have registered a Community Speed Watch scheme which is part of the police National Speed Watch. The speed limit at the Dockyard is 10mph. Warning road signs will be deployed at both entrances to the site on days selected for speed monitoring. If your vehicle is detected travelling above the CHDT speed limit, the details of the vehicle will be taken, and your vehicle could be prohibited from entering the site in the future. Excessive speeds will also be reported to Kent Police Speed Watch team. Please continue to drive to the CHDT speed limit to ensure the safety of pedestrians, cyclists and other drivers. This entry was posted in News and tagged parking on August 6, 2018 by Miriam Sandiford.